On American University Week: Protesting is a way to get your voice heard. Anna Amirkhanyan, associate professor in the department of public administration and policy at American University, discusses what to do after the protest ends. Professor Amirkhanyan’s research focuses on public and nonprofit management, organizational performance, public-private differences, and citizen participation. Her articles have been published in various outlets such as the Journal of Public Administration Research and Theory (J-PART), Public Administration Review, the Journal of Policy Analysis and Management, the Nonprofit and Voluntary Sector Quarterly, and others. 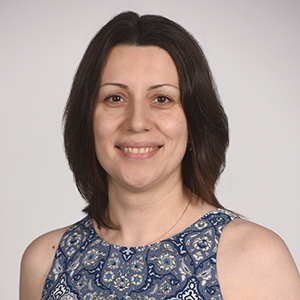 Professor Amirkhanyan has received 2006 National Association of Schools of Public Affairs and Administration Annual Dissertation Award, 2007 SPA Award for Outstanding Service to the University Community, and 2008 SPA Faculty Award for Outstanding Teaching, and 2017 SPA Pioneer Award. She served on the Board of Directors of the Public Management Research Association, and is on the Editorial Board of J-PART. We Have Protested, Now What? American history shows that protests can bring about major social changes. And, they are an important tool to influence policy. But, they are not the only tool. My research with Kristina Lambright shows there are many other concrete strategies, beyond protests, citizens can use to make meaningful changes. What can you do to make a difference? Number 1. Cast your vote so that your representatives’ priorities are aligned with yours. Number 2. Get educated on an issue you are passionate about. Government managers we interviewed told us that citizens often make suggestions that are unrealistic or go against current laws. Do your homework so that your feedback is useful. Number 3. Attend a public meeting. Governments are often mandated to share their plans and budgets with the public. Your testimonial could make a real difference in avoiding proposed budget cuts or providing support to vital programs. Number 4. Provide input on the quality of services you receive. Let officials know which services are important to you and demand accountability when things go wrong. Number 5. Join a board of directors for one of the 1.5 million nonprofits in our country, lending your expertise and providing oversight of their work. Some of these strategies take time and commitment, but the payoff is well worth the effort. Making a long-lasting social impact is not a sprint. It’s a marathon. You have protested. Now, be prepared to be an active citizen every day.